When you use the services of Beeline Internet to change your ratetion plan in several ways. The most trivial is to go to the office, taking the contract and the document proving the identity. But this is not the only and not the most convenient option. Much easier to do this with a personal account - web interface which, among other features, allows you to manage your tariff plan. How to move to another tariff plan "Beeline"
Log in to your personal account on the site Beeline - it can be found at https://lk.beeline.ru/. To enter authorization required - initial login and password should be listed in your copy of the connection contract or its Annex. Provider recommends that you change this password immediately after first login in to your personal account. If you already did, don't forget to use your new password. Click "Internet" on the main page of the Cabinet and the browser will open the appropriate page that contains information about your current tariff plan. Higher speed data connection, monthly fees and other parameters placed three links, the middle of which is exactly that which is necessary to access the options change the tariff - "tariff plan Change". Click the link intended to control the rate and select from the list of available options the one that you are most comfortable with. 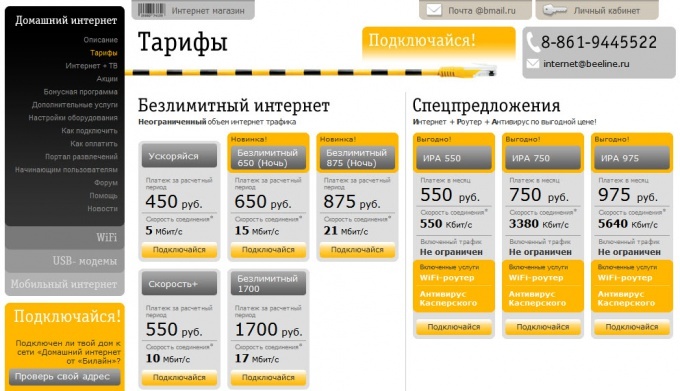 More details about each rate can be viewed on the website Beeline http://internet.beeline.ru. To do this, click the link "Rates". Here they vary from region to region, so you will be prompted to choose your area. You can consult and on the phone customer support 8-800-700-8000 - this call is free to any region. To determine the rate, check the corresponding box next to the desired option and click "Change tariff plan". Click "Change tariff plan" and on the next page - it is displayed to you to confirm your choice. The procedure of tariff change to be completed. To repeat it, you can not more often than once a month. All it can do for you and the operator of the customer support center, if you call the number of your customer account and the name that appears in the contract on connection. The plan you can change by making a free call to number 0611 support clients "Beeline" (for individuals). Contact the Manager, explain to him what action you want to do. You will be asked to give passport details you provided in the contract. After a few minutes the customer service representative activates the new plan, which will become effective either on the same day, or first day of the next month - it all depends on your desire. If you represent a legal entity, submit in writing via Fax to the phone number "Beeline", which can be found on the website www.beeline.ru or visit the nearest office where you will be asked to fill out a form for requesting a change of the tariff plan. For subscribers using the credit system of payment, tariff plan will be changed only after the invoice date. To move to another tariff, you can use the Internet. 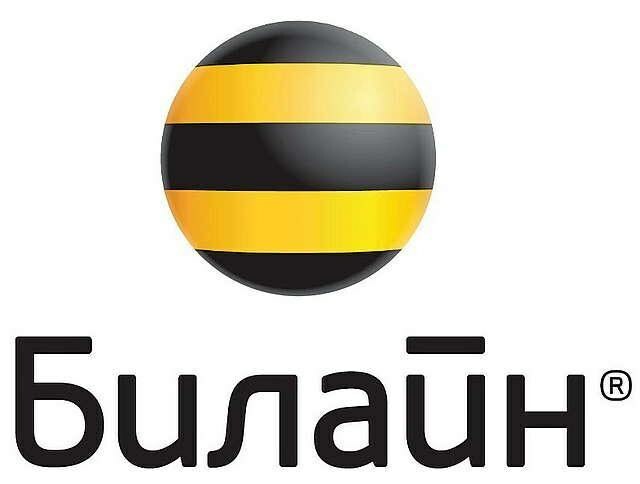 Go to saya "Beeline" (www.beeline.ru). In the section "Private customers", find "Support", then under "Mobile communications", open the "customer care". From the list provided, select "Change tariff plan". The screen will display the corresponding instructions. Follow all the necessary steps and the new plan will be activated. On this website you can also get information about all the available tariffs. Contact the nearest office of "Beeline", necessarily taking with him the passport to establish the fact of belonging to the rooms. The office staff will help you choose the most convenient tariff plan and activate it. If you change the tariff you want to change your landline number on the Federal, or Vice versa, in the first case, send a letter with a statement via Fax, and the second contact one of the offices of "Beeline". Sometimes for switching from one tariff plan to another it is necessary at a time to make some money at the expense of the operator. But remember that choosing the best option, you will save more money than you'd pay for the tariff change.